Which Cotton "Boll" Do You Prefer? Which Cotton “Boll” Do You Prefer? No, that is not a typo. As it was explained to me, a cotton ball is what you pull out of the plastic bag you get at the drug store. 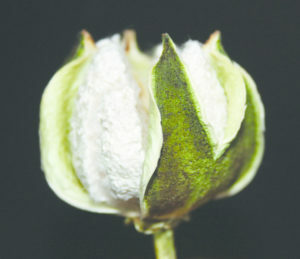 A cotton “boll”, is a protective capsule, shaped like a football, in which the cotton fibers grow. The image on the left has 5 “locks” – the grooved lines you see – while the image on the right only has 4 locks. Five locks means more cotton. 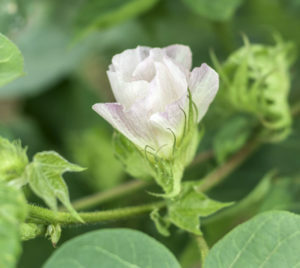 Every cotton plant will have both types of bolls. 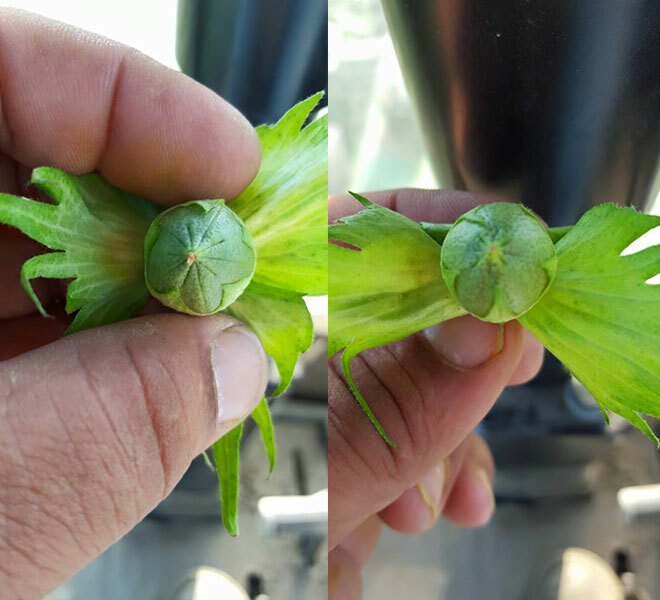 Moist fibers grow inside the boll and push out from newly formed seeds. As the boll ripens, it turns brown. The fibers continue to expand under the warm sun. Finally, they split the boll apart and the fluffy cotton bursts forth. Cotton production is an important economic factor in the United States as the country leads, worldwide, in cotton exportation. The United States is ranked third in production, behind China and India. 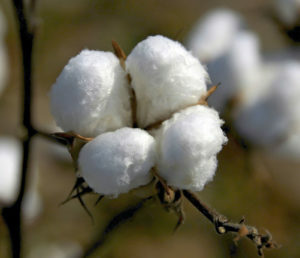 Almost all of the cotton fiber growth and production occurs in southern and western states, dominated by Texas, California, Arizona, Mississippi, and Louisiana. More than 99 percent of the cotton grown in the US is of the Upland variety, with the rest being American Pima. Cotton production is a $25 billion-per-year industry in the United States, employing over 200,000 people in total. U.S. cotton production for the 2013/2014 growing season was 2.8 million metric tons. 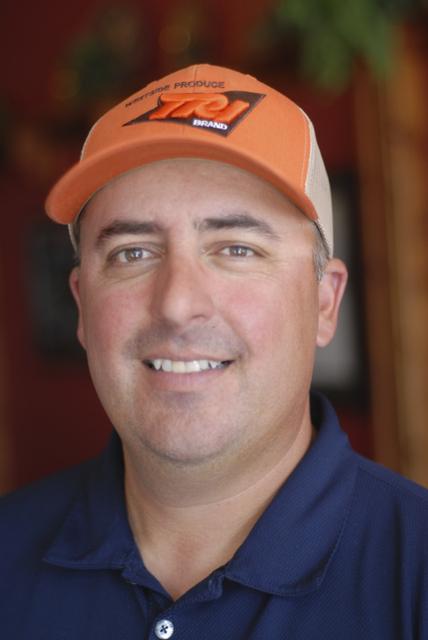 Erik Wilson is a farmer and the owner of Erik Wilson Custom Spraying in Dos Palos, CA. He is also one of the co-founders of My Job Depends on Ag.